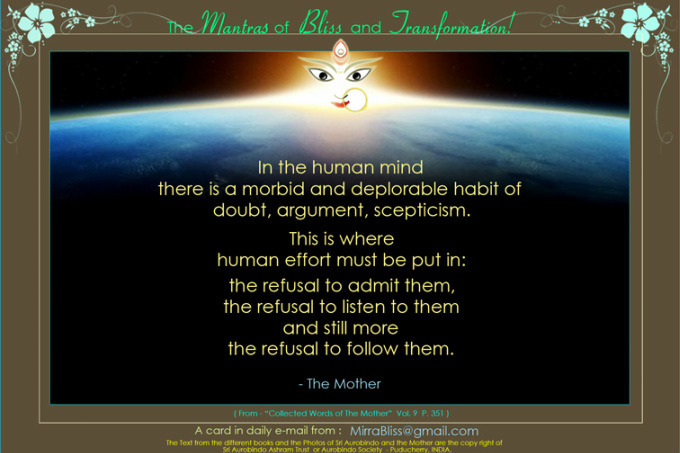 From - "Collected Works of the Mother" - Vol. 09 Book Title - 'Questions and Answers 1957-1958. On Book page - 351. Chapter Title ; "9 July 1958" which carries the discucssion "Faith and the Personal Effort" from Book Pages - 350 to 352.